Terroir, vineyard, climate – a relationship to be cultivated over time, with patience and passion. 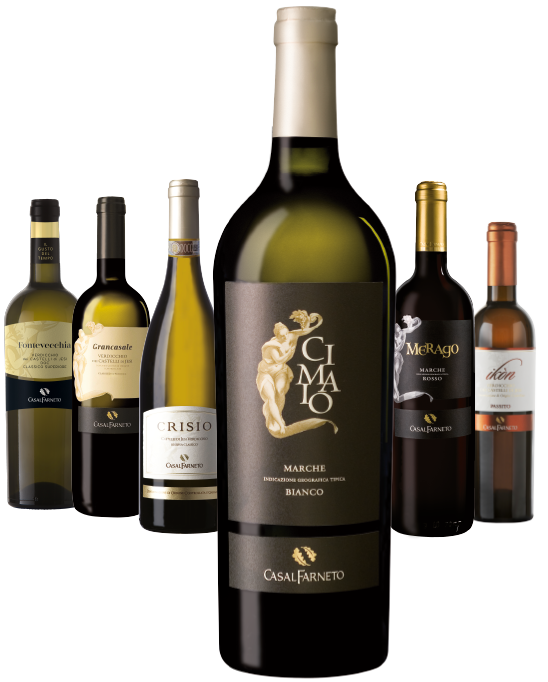 CasalFarneto wines are produced according to the characteristics of the harvested grape, in the full respect of biodiversity. Thanks to the agronomic technologies enhancing aromas and character, its production ranges from Verdicchio Classico and Superiore dei Castelli di Jesi to red wines of excellence. 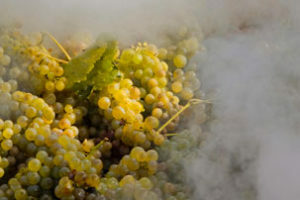 Organic and sparkling wines of high quality complete the whole range of production. 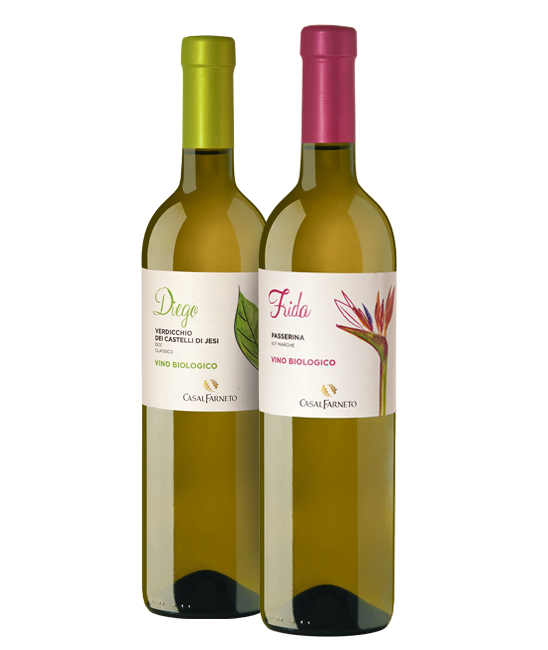 “Donna di Bacco” is a selection of CasalFarneto wines intended for wine-tasting experiences in the restaurant and wine bar. 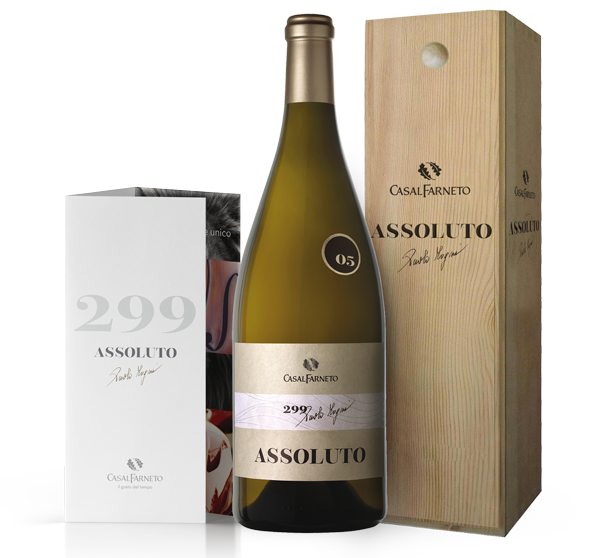 Embodying passion, dedication and respect, these wines are the triumph of pleasure and elegance. Their tones underline their pleasant full-bodied quality and seduce after just one sip. CasalFarneto winery has chosen to care about its consumers by using sustainable winegrowing techniques and committing to respect both the environment and health. The use of plant protection products is assessed case by case, depending on the characteristics of soil and preservation of the vineyards’ biodiversity. 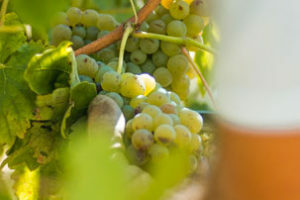 In this way, the attention to the vine-wine chain allows the production of organic wines to be certified according to the European laws for organic farming. These classical wines are a selection for the large distribution and remind the flavour and sinuous profile of Le Marche’s hillside. 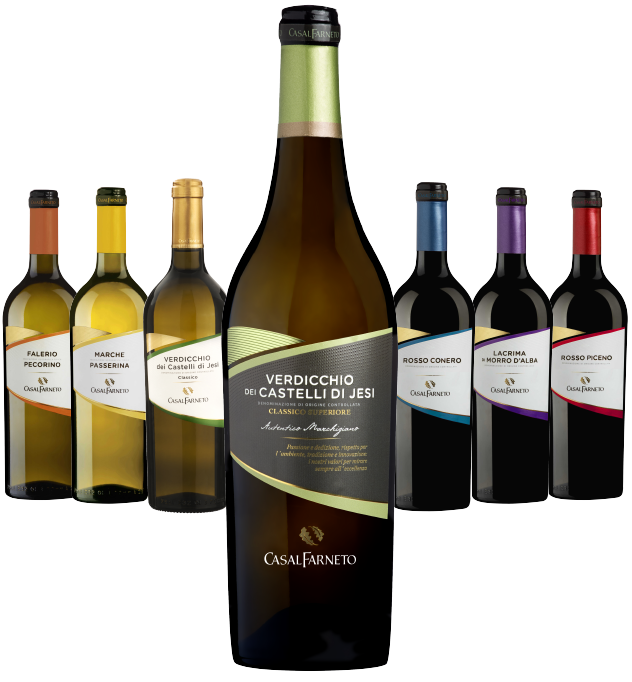 Linked to nature and its cycle, CasalFarneto “Le Colline” is a classical range, where white and red grapes bring to light two of the most renowned Italian wines: Passerina and Montepulciano d’Abruzzo. The road to excellence that CasalFarneto’s wines follow is the one leading up to unexpected successes based on taste, quality and passion for the land. Since many years, the most respected wine guides of Italy have been awarding the winery, praising the transparency and quality of its production.